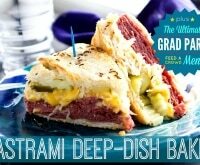 How is it possible that we are talking about graduations? 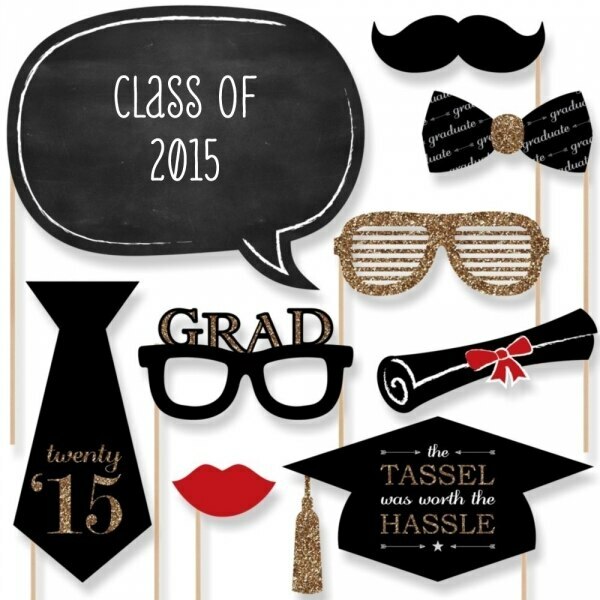 The school year has flown by, and the Class of 2015 is ready to walk the aisle, grab the diploma and party. 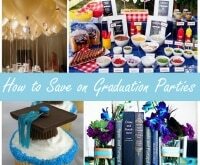 Throw a memorable graduation party on a budget with ideas that will create many memories for your grad to take with them on their next adventure. 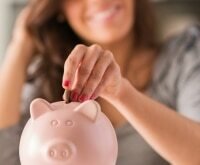 Sometimes we need to save on time and money. 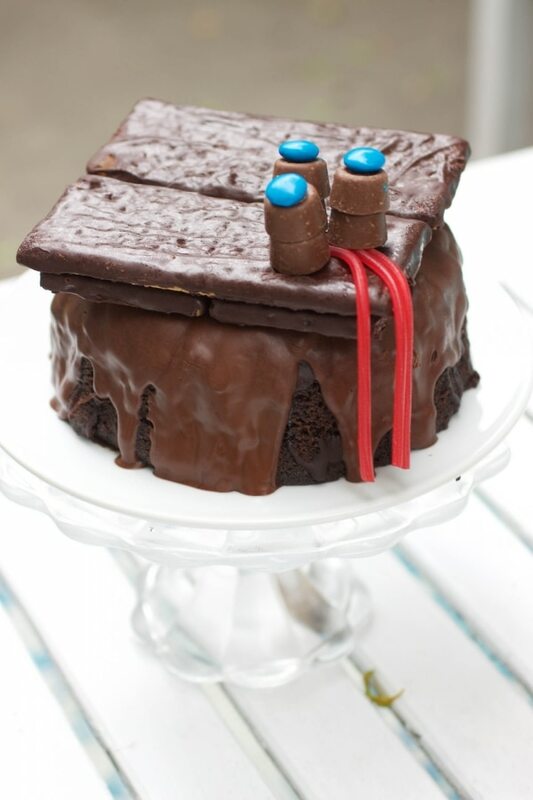 Create a unique cake with the help of a store bought bundt, candy and chocolate covered graham crackers. 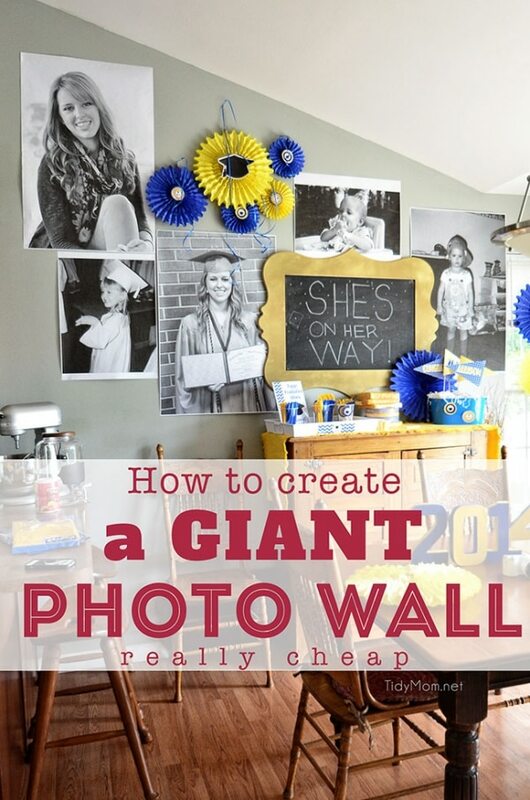 Blow up a few photos of the graduate and create a giant photo wall for your grad party. 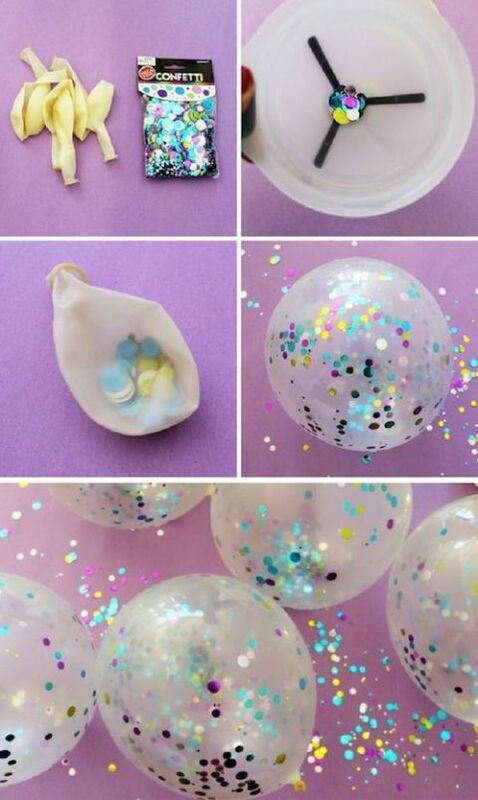 Fill balloons with tissue paper confetti before blowing them up. Shake them to distribute the confetti. 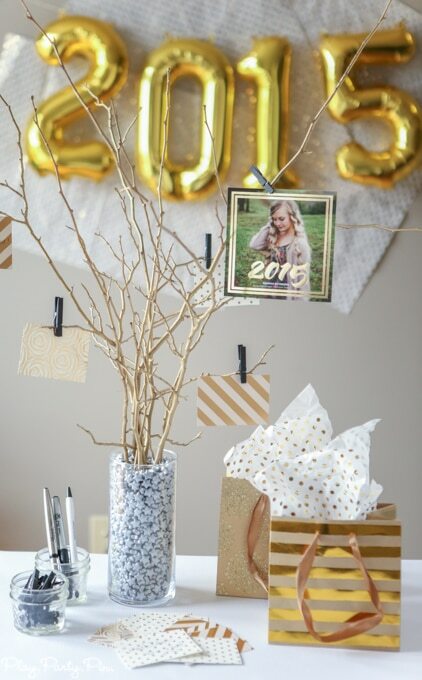 Create an advice tree and place pens and cards around it. 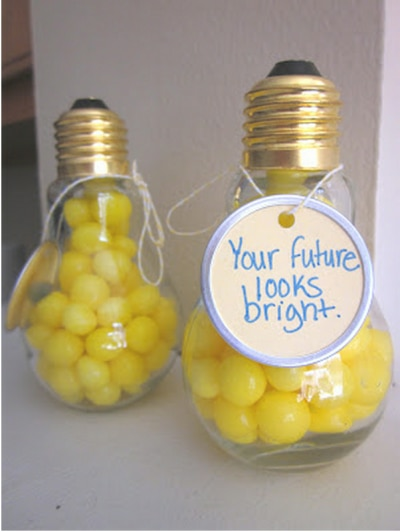 Invite the guests to write words of wisdom to the graduate and pin on the tree. 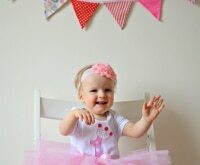 Remember to look on your coupons.com mobile app for the latest savings on photo announcements. This is easy peasy. 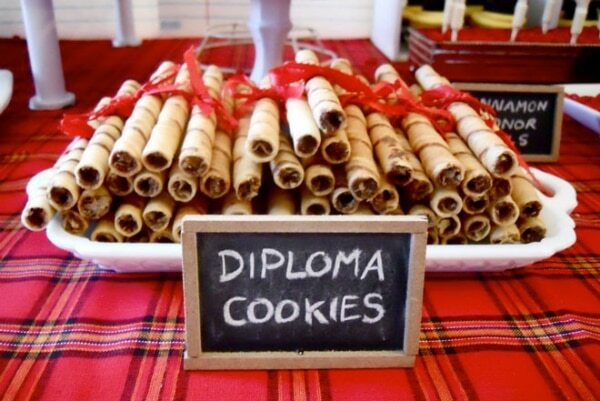 Tie a red ribbon around the pirouette cookies and stack them like diplomas on a plate! 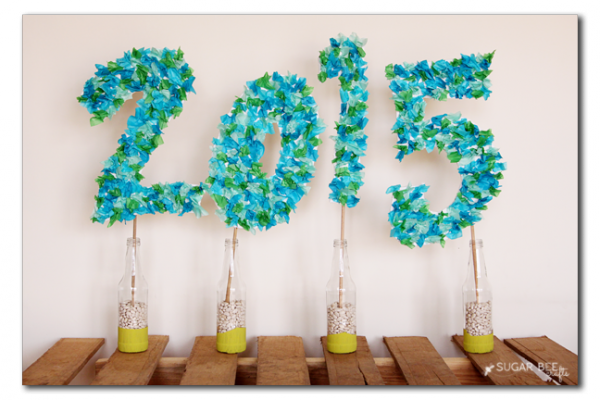 Create a focal point for your party with this colorful 2015 tissue paper party sign. 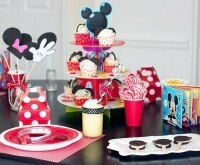 I love how easy it is to coordinate the colors with your party. 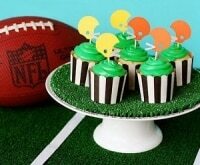 It’s bright and fun for party photos. 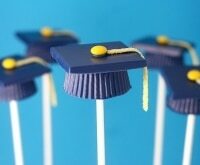 Photo props add a little fun to your grad party photos. 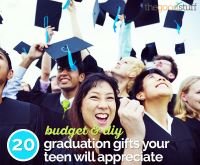 The grad and their friends will love posing with these props. 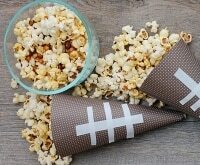 Buy from Amazon for under $20. Buy a Jenga game and set up the blocks on a table with markers. 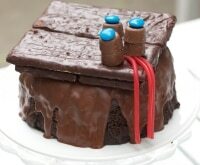 Have guests write down their favorite memory of the graduate. This will be a fun trip down memory lane each time they play the game. 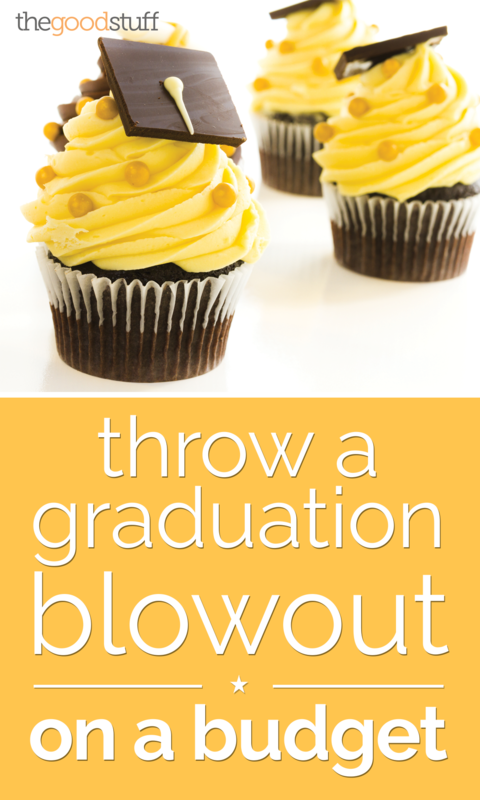 A quick trip to your local craft store, armed with this week’s coupons, and you can create a grad party favor for guests to take home. 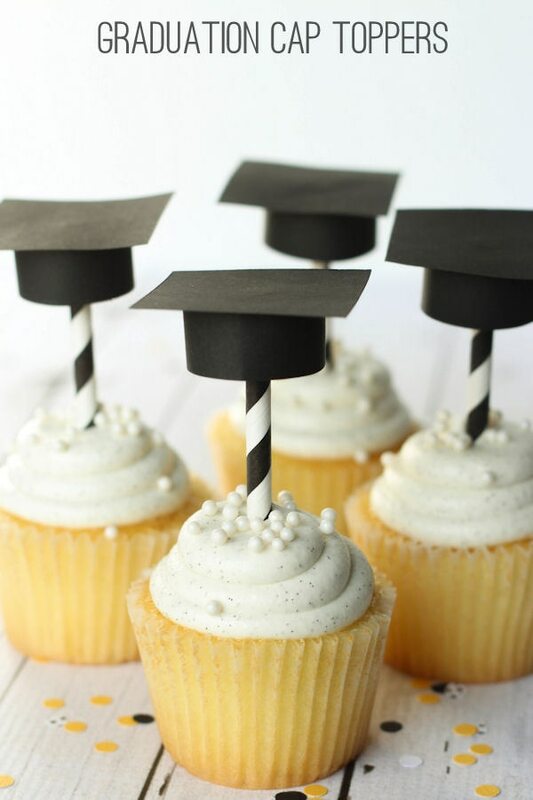 Dress up store-bought cupcakes with these adorable graduation hat toppers. 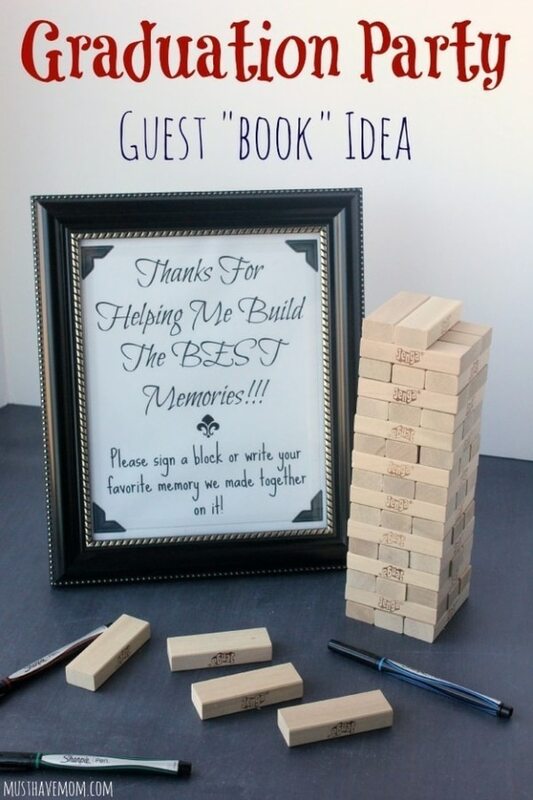 Thanks for sharing my fun Jenga guest book idea! FYI You can grab the free printable sign on my site as well!